One angle I could have taken here is the application of Thompson’s ideas to the way that Corbyn fans speak of Jeremy, given his appearance there – after all, ‘there was a fantastic universal sense that whatever we were doing was right, that we were winning’ certainly seems to be a decent description of the Corbyn chants – and I certainly considered writing that article. Another angle was to talk about how the energy of Glastonbury represents some significant social artefact. Maybe it does, but it’ll leave that to others. What really blew me away, more than any of the decidedly wavy art installations or the weird Stranger Things remix in Arcadia, is an element of the festival that seems to pass by without notice. Simply put, I’m completely blown away by the notion of camping. Now, I feel a certain throat-clearing is needed here. I don’t camp often. Those who know me will likely find the idea of me being in a dirty tent in a field anathema to almost every facet of my personality. I’ve spent all 20 of my years in large cities of one description or another – Liverpool and London respectively, and can’t imagine living outside of a city. So yeah, I don’t camp often. I like creature comforts, and it’s exceedingly difficult to pack in a manner that can be considered ‘comfortable’ for a festival. (The fact that I frequently pack a small pharmacy when travelling is usually a source of great amusement to my friends, but in hot weather with a high pollen count, it paid off). What interests me about camping, specifically camping at Glastonbury, is that on its face, it appears deeply improbable. Without coming down on the side of either Rousseau or Hobbes with regards to human nature, I do feel it’s safe to say that many people work on the assumption that other people are basically bastards. It’s the reason that houses and cars have locks, the reason that credit cards have pins, the reason that basically every single ATM will tell you to shield your pin. Is it wrong to be surprised that 250,000 people are able to camp in a relatively small space in relative harmony? I don’t doubt that some dodgy goings-on occur in Glastonbury, but it’s worth actually thinking about scale here. I mean, per person, there are relatively few bad things that occur at the festival. Besides, to look at this entire thing on a minor scale, I shared my tent with my girlfriend, and in it was £450 of phones, about £200 of clothes, £50 of alcohol, and about £200 of makeup (I text my girlfriend re: makeup costs and got this confirmed). A haul of about £750 was there in our tent. With 250,000 people there, it’s not like we’d be able to prove who stole anything. To get in and steal our stuff, you’re not faced with bricks, alarms, doors, locks, and people. You’re faced by a thin waterproof layer and a zip. We frequently left the tent unoccupied for long periods of time, and nothing bad happened. Maybe there’s a misanthropic streak in me that has hitherto gone unnoticed, who knows? The fact remains that the entire thing to me seemed to be an exercise in disproving Glaucon’s thought in the Republic around the ring of Gyges. To camp in a festival is to display a remarkable amount of trust in those around you, and we all do it anyway. For me, that is the real hot take about Glastonbury this year. 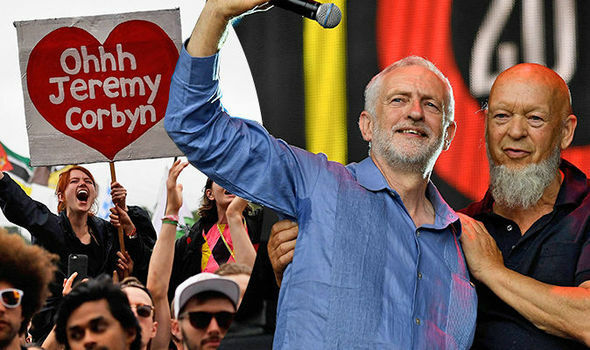 There’ll always be people who claim the festival has some mystical powers, those who claim they’ve found themselves and those who say that Glastonbury is some hugely important political event that will provide the ideals, energy and momentum that some unspecified revolution will need. But that’s for other people to say. I’m not saying any of that. I’m just saying that the real magic of Glastonbury isn’t in the Stone Circle. It’s in all the campsites.